The rumors were true: When Hyundai's 2015 Genesis ships in the spring, its Blue Link telematics platform will include destination search via Google. In addition, the car will come with two apps: Genesis Intelligent Assistant and Google Glass Blue Link app. The destination search will work via the Blue Link button and display in the car, or the Blue Link mobile app and My Hyundai website, to send a chosen destination to the car. Other Blue Link upgrades will include remote controls for starting and stopping the car, and also for climate control. Also, an Automatic Collision Notification feature and SOS Emergency Assistance will automatically send alerts to contacts you select if your car is detected to have been in an accident. The Genesis Intelligent Assistant app will take in data from your smartphone and other sources and send proactive reminders for useful drive tasks. Here's where I get excited: The app can look at traffic data and at your calendar and recommend the appropriate time for you to leave, based on how long the app thinks you'll need to get there under current conditions. I'm not the only person who's been waiting for this kind of assistance. The app can also check on the car's vital stats and ping you if it's time for maintenance. And now what you've all been waiting for, the Google Glass app. 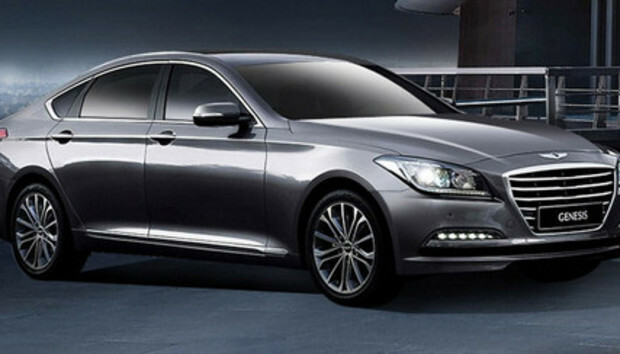 Hyundai worked with technology providers Covisint and Station Digital Media to develop the app. The Google Glass Blue Link app will let Glass users connect with Blue Link's primary functions, from remote stop/start through safety and infotainment, through what Hyundai calls "a special experience created specifically for the new wearable technology." The app is available on the MyGlass site.